As others have noted, the reading is very odd. It's as if only question marks and commas exist at the end of sentences. A point is never concluded, only queried or held in suspense. After a few hours, the listener, resigned, gets used to this; and as also noted, the narrator has a fine voice. What is really objectionable--and others reviewers have made this point as well--are the production values on this release. Sometimes the volume goes from normal to quite loud or soft. This lasted for only about half an hour, so was tolerable. But the way the producer of this product allowed sections to be repeated is simply unacceptable. Sometimes only a sentence or two would be repeated. But at other times whole paragraphs and more than paragraphs would be reread, taking up our time and attention and patience. Who was responsible for this? The company that made the recording? Audible itself? Whoever it was needs to go back and remaster the product. Then and only then will this second volume of Morris's brilliant biography of this great and fascinating man get the telling it deserves. Yes, though I'd try to find another reader--or just read the book yourself. What was one of the most memorable moments of My Brilliant Friend? Losing the doll and trying to challenge the man who stole it. Not to mention the startling last line. What didn’t you like about Hillary Huber’s performance? Ms,. Huber over-interprets almost every line (save for the well read but sparse dialogue). Worse, she skews it toward the charming, the moving, the sentimental, the cute, the humorous--all this in an author who casts an unwavering, clear-eyed gaze on her Neapolitans. The listener is in a constant cringe as the reader insists we understand how poignant or wry or touching every moment is. In all my years of listening to audio books, I've never heard an interpretation that so compulsively forbids me from responding on my own. As I said, she reads the dialogue well: but the book is ninety percent narrative. And in that ninety percent, we are in big trouble. 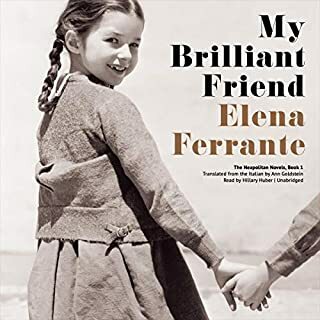 Was My Brilliant Friend worth the listening time? Yes, but see my objections to cringe-inducing reader. I suspect I am doomed to hearing the entire series in this cloying interpretation. Oh, well. 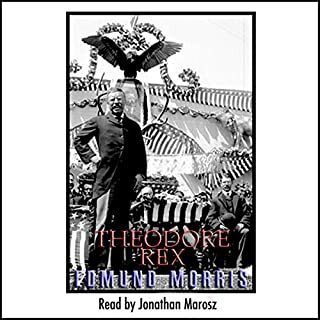 For the opposite sort of reading of a very great book, listen to the audible edition PARADE'S END. A model of how to go about the task.